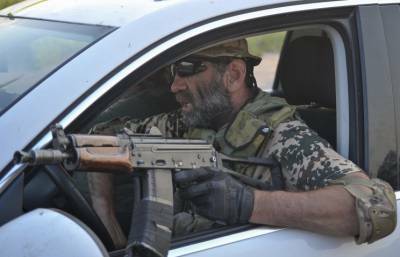 Armed volunteer battalions are pulling in to Kiev, the Vesti newspaper reported on Monday. Ukraine’s President Petro Poroshenko said earlier on Monday that none of the Ukrainian governors will not be allowed to have private armies any longer. Ukrainian Security Service Chief Valentin Nalivaichenko said earlier that some high-placed officials in the Dnipropetrovsk regional administration maintained armed formations that were actually bandit groupings. On March 19, Ukrtransnafta’s (another company owned by Igor Kolomoisky) supervisory board dismissed Alexander Lazorko from the post of the company’s board head and appointed Yuri Miroshnik acting chairman of the board. Later reports said that the building of the company was seized by “gunmen led by Kolomoisky.” However, Interior Minister Arsen Avakov said that Kiev’s law enforcement agencies took Uktransnafta’s premises under control. According to media reports, in April-May 2014 Ukrtransnafta pumped 675,000 tons of process oil from the county’s trunk pipelines without permission of the Ukrainian Ministry of Energy and Coal Mining. Prime Minister Arseniy Yatsenyuk demanded then that the law enforcement agencies initiate criminal proceedings and prosecute those responsible for illegal siphoning off of oil.